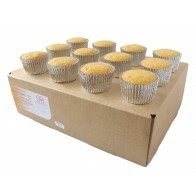 Our ready to decorate cupcakes are ideal for creating fashionable cupcake towers for weddings and other celebrations. 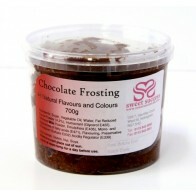 They're also great if you're running cupcake classes! 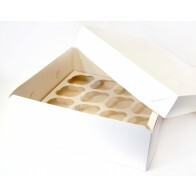 Available in two sizes our 'standard' size cases are 50mm base diameter by 28mm high, and 'large' size are 50mm base diameter by 38mm high. 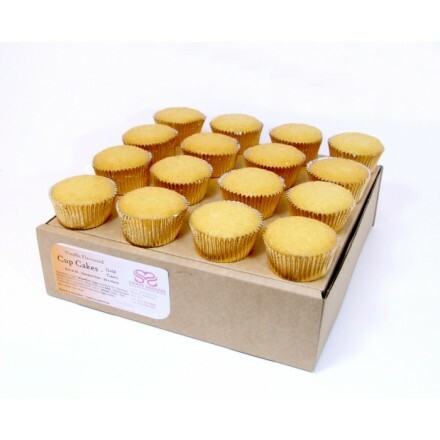 Carefully hand-packed into sturdy outer boxes containing 36 x standard or 24 x large cupcakes. The cakes will stay good to eat for 4 weeks from baking, but as they are so small will dry out quickly once left in the open air. For best results, keep well wrapped in the original packaging. 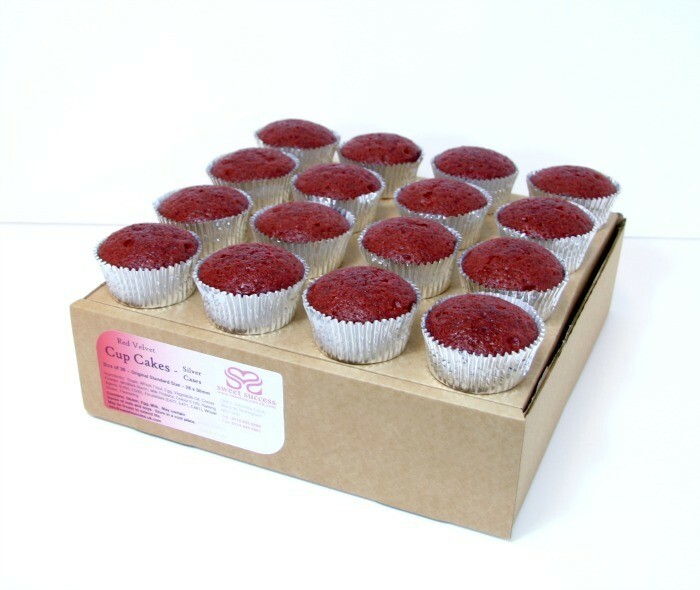 Very large orders for cupcakes (more than 10 boxes) are baked to order - as always, please allow an extra week for delivery when ordering baked to order items. 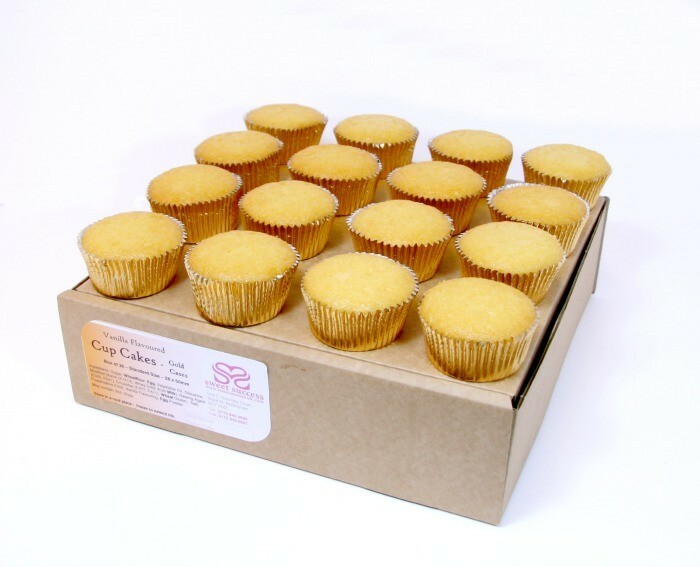 Vanilla Cupcake Ingredients: Sugar, Wheatflour, Egg, Vegetable Oil, Glycerine, Modified Starch (E1414), Whey Solids (from Milk), Raising Agent (E500, E541), Emulsifier (E477, E471), Wheat Gluten, Salt, Preservative E202, Vanilla Flavouring, Free Range Whole Egg Powder. Chocolate Cupcake Ingredients: Sugar, Wheatflour, Egg, Vegetable Oil, Glycerine, Cocoa (4%), Modified Starch, Raising Agent (E500, E541), Emulsifier (E477, E471), Whey Solids (from Milk), Salt, Wheat Gluten, Maltodextrins, Preservative E202, Flavouring, Free Range Whole Egg Powder. Contains Gluten, Egg and Milk. May contain traces of nut and/or soya.